The range of beauty products available today is staggering, making it difficult to make the most appropriate choices. Which is greener – natural or synthetic beauty products? The first thing we need to understand is what these two terms really mean. Natural can be assumed to mean that the ingredients have been derived from natural sources like plants, animals and naturally occurring minerals. These ingredients will have been refined by a simple biological process and may include such things as herbs or herbal extracts, plant and fruit oils, beeswax and distilled water. They are often unscented or a natural scent is used and they usually don’t contain artificial colors and fragrances. Natural beauty products are biodegradable, which means that they will break down into their basic core ingredients. Synthetic beauty products do not necessarily contain naturally occurring ingredients, although they might. They may (and often do) contain petroleum derived ingredients and manufactured chemical components which are processed using high heat and pressure to produce the chemical reactions necessary to produce the products. They will mostly contain artificial fragrances and colors and many of the synthetic chemicals have not been individually tested as safe for human use. Synthetic products are not biodegradable and may last indefinitely in a landfill. Many people believe that because something says ‘natural’ it must be a better product. I guess it’s understandable to think that something natural is better than artificial, although this isn’t necessarily the case with beauty products. The main reason people chose to buy natural beauty products is their perception that they will do a better job and that they are healthier. This may well be true in some cases as the implication of using a cocktail of chemicals on your skin is not fully understood. 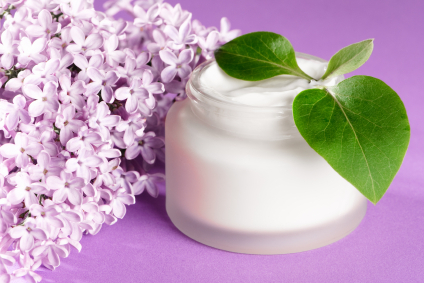 Natural beauty products are not necessarily any more non-allergenic than synthetic. People react to various substances differently and you could just as easily be allergic to a naturally occurring ingredient as to a synthetically produced one. People are starting to object to the onslaught of chemical products with which we are being bombarded on all fronts and, in many cases, the preference to natural products is a reaction to this. I hope that clears up any misunderstanding about the different meaning of ‘natural’ and ‘synthetic’. Let’s now look at the green credentials of the two types of products. Because, by their very nature, natural beauty products are made following a simple biological process, it is possible to make your own products in your home kitchen. They often involve just a few ingredients which are mixed together and possibly heated to help the ingredients combine into a workable product. Therefore, natural products would use less energy, power and water in their manufacture than synthetic products. Synthetic products often involve the use of multiple ingredients, some of which have been created in a laboratory. The manufacturing process for these products is more time consuming and uses more energy. Many synthetic beauty products use petrochemical derivatives; as oil reserves are running out, this is not a very green ingredient. Check out the label on your shampoo to see just how many ingredients are listed. If you compare a natural product with a synthetic one, you will see that the list of ingredients for the synthetic product will be much longer than that for the natural one. Many of the ingredients in synthetic beauty products have been shown to be implicated in various medical conditions and are know allergens to many people. If you do have a sensitive skin, you would be best to avoid ingredients such as parabens, sulphates, synthetic mica and talc. So, it seems that natural beauty products are a greener option than synthetic, mainly because they contain fewer ingredients, use less energy to produce and are biodegradable. The fewer artificial chemicals we apply or add to our bodies, the better off we have to be, because they are absorbed by the skin and can then enter the blood stream. So do your body a favor as well as the environment and try and source natural products. Whether you will save money by buying natural beauty products is dependant on several factors, mainly brand and availability. The well-known cosmetic and skin care brands tend to come with a high price tag; products sold through health food stores can also be expensive; cheaper natural products sold at markets may not have been produced to the best safety standards. You can however always make your own beauty products. You will find lots of basic recipes on the internet, so do as your grandmother probably did and make you own beauty products. If you aren’t into DIY though, there are a lot of companies out there making certified natural products that you can check out, you might just have to pay a bit more than if you made it yourself. To me though this is worth it as my health and the planet’s health are protected. So, what kind of products do you use and why? You are right. I can think of plenty of natural things that are very poisonous and not at all good for you. Snake venom springs to mind! Excess radiation too (although we are all exposed to small amounts of radiation). There is a whole lot of rubbish written about ‘natural’ things. Sure some synthetic products are also not that good either. You have to read the labels and understand what is in the product. It’s where some knowledge of science can be useful. Agreed. I would say natural is better than synthetic but you do have to read the labels to make sure that the natural product is safe. I have a hard time putting anything fake or synthetic on my body. Natural products may not be a better product (in fact, it might not work as well as a product made of synthetic ingredients) but I do understand not wanting to use chemicals on your skin. I actually find the natural stuff works better. I am not really comfortable using beauty products available in the market. I still prefer looking for some organic homemade procedures that I can use to make my own natural-based beauty products. What kinds of stuff do you make? We should swap recipes.